A few weeks ago we started searching for a new fireplace mantel to give our living room a "finishing touch" after a renovation project. Since our old mantel was accidentally damaged I figured it would be easy to just go to the local hardware store and purchase a pre manufactured mantel. After searching all of the big box stores and even some local fireplace accessory stores, I quickly realized it was not going to be an easy task. 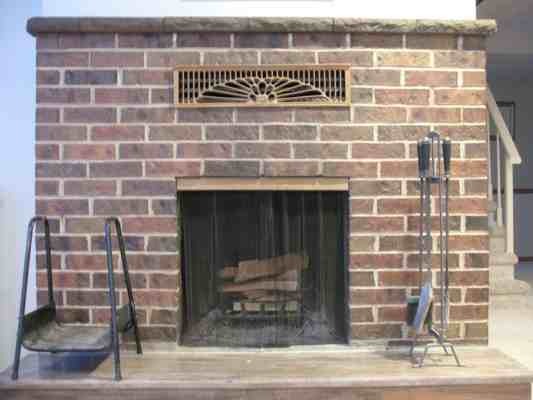 Since there isn't a standard size for a mantel above your fireplace, a majority of stores do not have them in stock. Sure, you can have one special ordered but it was too expensive for me and since we were in the middle of a renovation project I didn't want to wait. So, I decided to make one myself and I think it turned out really nice. It's unique, somewhat rustic and best of all it was cheep and easy to install! After considering a variety of different materials we decided to use cement Tranquil Chiselwall Retaining Wall Caps instead of building one out of wood. 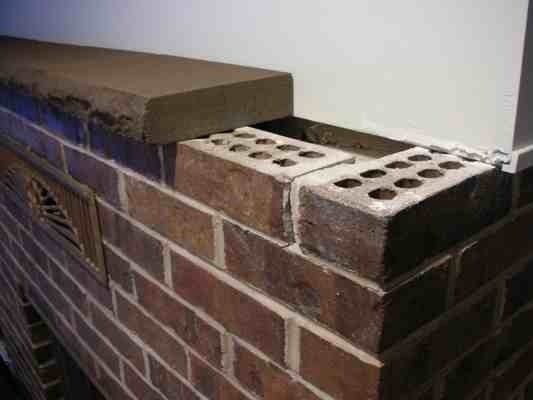 The blocks were 12 inches long , 2 inches tall and had a depth that fit our fireplace perfectly. Since the color was a little off we also bought a can of textured spray paint to paint the blocks. Finally, to secure the blocks to the brick fireplace we purchased some construction adhesive. 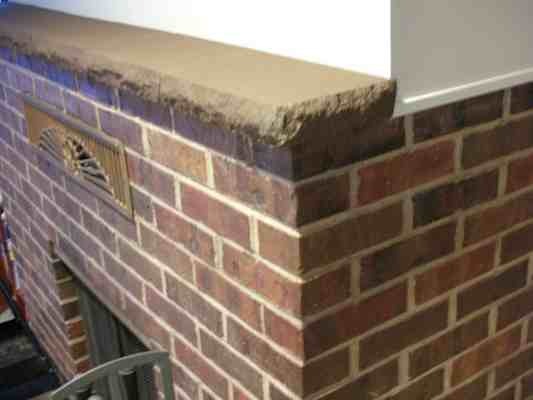 To begin, lay out the blocks the top of your fireplace to get a rough idea how they fill fit. The blocks we chose had a chiseled face so I also used a hammer and chisel to bust up the edges to give them that same chiseled look. Next, paint each block with your choice of spray paint. We used a textured paint to give the block a more natural look. Once the blocks are dry you can arrange them one last time before you glue them in place. 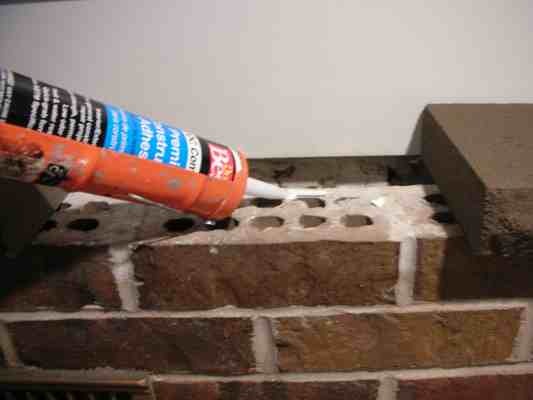 Using some construction adhesive, place a generous amount on top of the brick to hold it in place. Here's a side view after all of the blocks have been painted and glued in place. You can see in this view how I chiseled the sides of the block to make it match the front. Once the construction adhesive dries you're done! Using the cement blocks to build the fireplace mantel worked great and I really like how the project turned out. It was cheep to build and it didn't require the woodworking experience needed to build one out of lumber. So…..the next time you need to build a mantel and you're looking for a functional design without spending a lot of time or money, consider using paving stones or retaining wall caps!